Based on bibliography sources general characteristics and properties of silicon gel components compared to natural rubber and other thermoplastics compounds are presented below. Silicone is an advanced synthetic rubber polymer that has better properties than existing rubber compounds and thermoplastic materials. 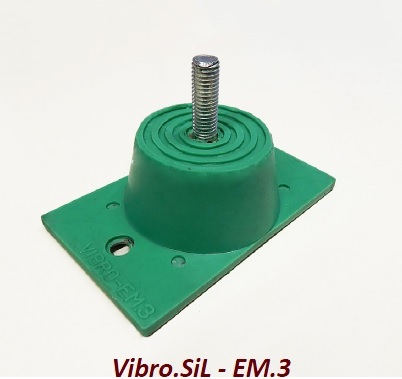 The new series of vibration proofing pads, provide an effective shock and vibration isolation protection, as well as structure-borne noise reduction in a wide temperature range from very low temperatures -40 ° C to very high +200 ° C.
Silicone products are environment-friendly, as they contain no harmful additives and do not show the characteristic odor of natural rubber. Silicone anti-vibration products offer great resistance to outdoor weather conditions, ozone and UV radiation. 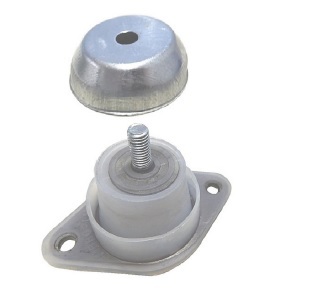 It also has a very low compression set and thereby improves the ability to absorb the shock and vibration better than traditional natural rubber vibration absorbers. They are suitable for applications in the food industry (ovens and freezers), in avionic, military and medical facilities.